Xian enlists the advanced and complete infrastructure, especially transportation network due to its significant position in both politic and economy of the northwest China, which backs the prosperous tourism of Xian powerfully. The radiate transport system links the highlight tourist cities in China and even some foreign cities with Xian as center to allow travelers to explore China and Xian freely and easily. If you would like to get a specific idea to a tour between Xian and any Chinese cities, please click the link below and you will find some well-organized and popular tours to shed a light for your China holidays. 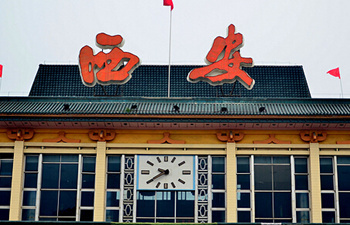 There are 3 train stations in Xian undertaking different transportation functions: All the high speed rails will depart from and arrive at only Xian North Train Station while all normal trains will be at Xian Train Station in the downtown, as for the Xian South Train Station, it mainly receives trains heading southwards as a complementary power for the Xian Train Station. Following are some major trains among Xian and Beijing, Shanghai and Chengdu with detailed numbers, prices and durations. 1. If you would like to take train or high speed train, you are suggested to book it 30 days before as according to Chinese Train System, all train tickets sold online are available to purchase 30 days ahead. Of course, you could buy it by yourself at the station on spot before your tour date, however, it is not sure that there still is ticket left for you, especially in peak season, such as some Chinese Festivals like National Holiday, May Days and Spring Festival. 2. There are convenient metro systems between Xian Train Station & North Xian Train Station and hotels in downtown and the taxis between the two sites are easy to wave. Also, if you want a train station transfer without worry, contact us to enjoy worry free Xian Train Station transfer with our licensed driver & air-conditioned car. 3. There are airport shuttle buses valid to transfer people from Xian Xianyang Airport to Xian downtown. If your flight departs or arrives beyond airport shuttle bus time, please find a reliable travel agency to book a hassle free airport transfer service as taxi will be quite expensive. Chinaxiantour provides the airport transfer service by professional and licensed driver & air-conditioned car at the best price. 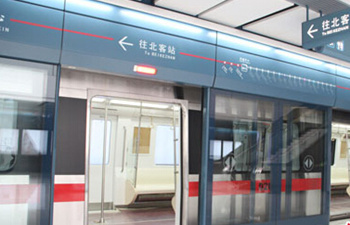 The Xian subway is scheduled to have 6 lines, with a total length of 144.27 kilometers. Line 1, Line 2 and Line 3 are the main subways while others function as supplements to the main lines. 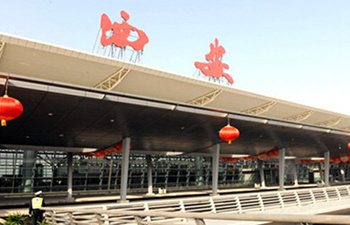 Xi’an Xianyang International Airport is located in the middle of China mainland---Di Zhang Town, Xianyang city, 13 kilometers to downtown Xianyang and 47 kilometers to downtown Xi’an. 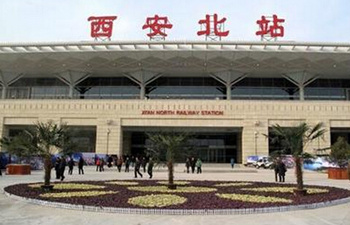 Xian North Railway Station is located 12km north of Xian city center, 21km east of Xian Xianyang Airport. Different from Xian Railway Station, Xian North Railway Station is used for the high speed trains and D trains ( CRH: China Railway High-speed ). Xian Railway Station is located just outside the northeast corner of Xian City Wall. The main road “Jiefang Road” ends at Xian Train Station at its north tip and connects the Dong Dajie (East Street) at its south tip.